I’ve always loved the idea of a swing for two. When I was a child my parents had a canopy swing in the garden; my brother, sister and I would swing on it all afternoon with my mother reminding us that it was not a toy…. great memories. Now that I’m all grown up I still love the idea; and with plenty of trees in the garden I can now realise my childhood ‘toy’. So I suppose this piece is a story about what will be. 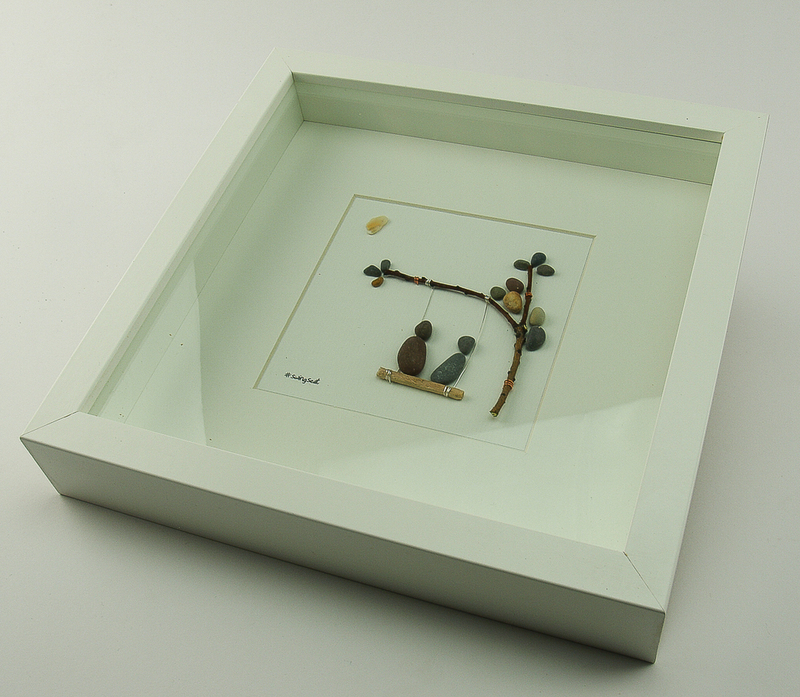 The piece comes in a black or white 10 inch (25cm) frame. 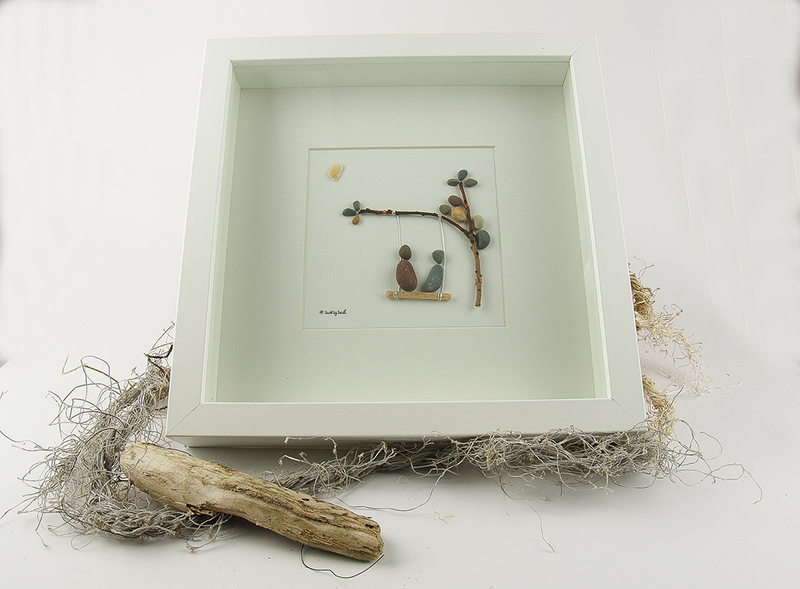 The pebbles are handpicked from my favourite spot in Carmarthenshire Bay. Every #swingseat is unique but will follow the story as shown in the images above. You can view pieces for sale on my online store.